WATCH Gavin Smith: Missing Fox Exec Spotted? A Hollywood movie executive who mysteriously disappeared earlier this month from a female friend's home may have been spotted eating at a restaurant with a woman, according to a new report. Gavin Smith, the 57-year-old father and husband who went missing on May 2, allegedly stopped at the southern California restaurant Taco Temple on the night of May 7, an eyewitness told NBC4 of Madison, Wisc. David Brill, of Madison, told his local news station that he was traveling on business to Morro Bay, Calif., when he noticed a tall, blond-haired man matching Smith's description with a female companion. "The next morning in the office, I noticed on the Yahoo main page that there was a news link to a missing Hollywood executive. I happened to click on the link, saw the photo, and said, 'Oh boy, that's the guy I saw in the restaurant the previous night,'" Brill said. Smith was reported missing by his wife when he failed to pick up his son one Wednesday morning to take him to school and then did not call into work or his family. Smith's wife, children, and sister previously told ABC News that the former UCLA basketball star and 20th Century Fox movie executive would never abandon his family. "He would never do anything like that. He's a great father. My dad had no reason to leave. 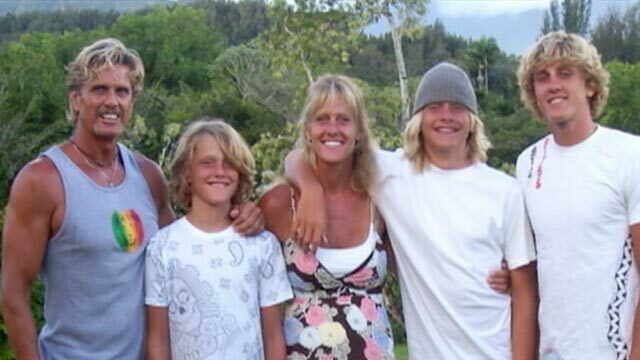 No reason at all," said Evan Smith, Gavin's eldest son and a star basketball player at USC. Brill was unable to be reached for confirmation by ABC News, but the TV station also reported that a waitress at the Taco Temple in Morro Bay confirmed Brill's sighting. Marcy Carney said that she chatted with Smith and the woman while she waited on them. "They were kind of quiet when they first came in and then once I got them talking, they seemed real friendly," Carney told the station. She said that Smith said he would be staying in town for a night or two and then heading "up north." He paid for the food in cash and told Carney to keep the change, according to the report. The restaurant told ABCNews.com that they have a surveillance camera, but would not rrelease the tape. Carney was not able to be reached by ABC News today. The family would not say why Smith, an 18-year veteran in the movie industry who has helped distribute movies such as "Avatar" and the "Star Wars" trilogy, was staying with a family friend in Oak Park, Calif. He had returned earlier that day from a movie convention in Las Vegas and was supposed to stay the night there, but the family said it was unusual that he left that home at 10 p.m. without warning. "They had already gone to bed," Lisa Smith said. "So he was still downstairs watching TV when our friend went to bed. And he was going to be coming up to bed shortly." The Smiths told ABC News that Gavin Smith's cell phone charger, shaving kit, and other belongings were all at the friend's house where he was staying. He was last seen wearing purple workout pants that had belonged to his teenage son, which the family says is a sure sign he had no intention of going out anywhere in public. Steve Whitmore of the Los Angeles Sheriff's Department said that detectives were following all leads, but have gotten "lots of leads" since the disappearance. +Who Is Missing Film Exec Gavin Smith?